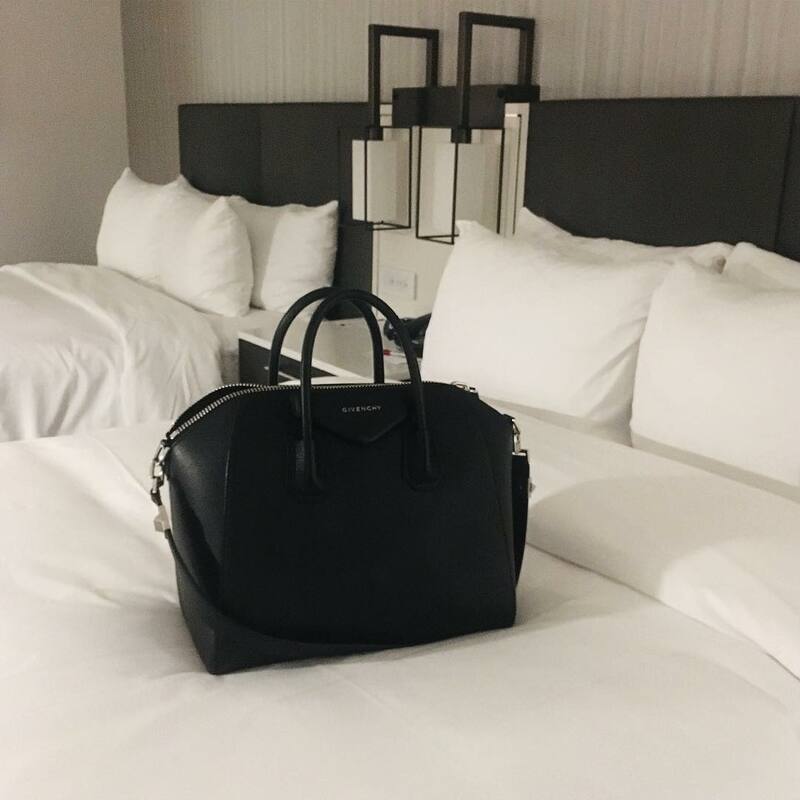 About a month ago, I essentially got to live out an episode of Gossip Girl, thanks to Small Luxury Hotels. 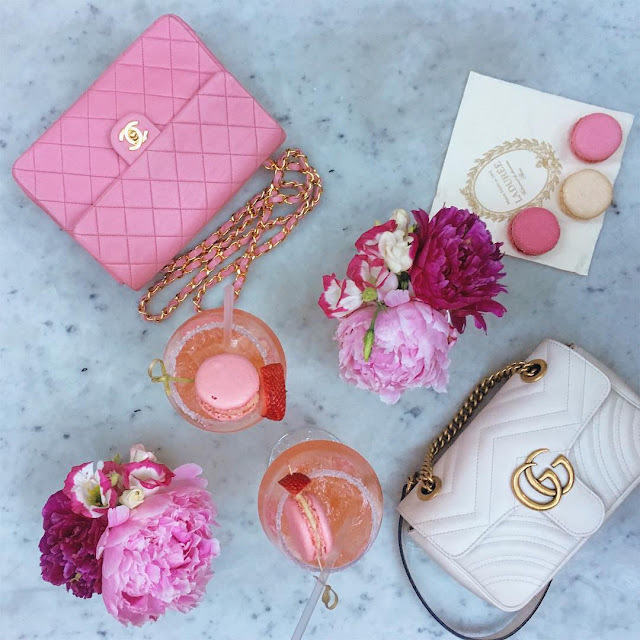 I hung out with two fellow bloggers, Ellery and Jordyn, and we had an absolute blast together! 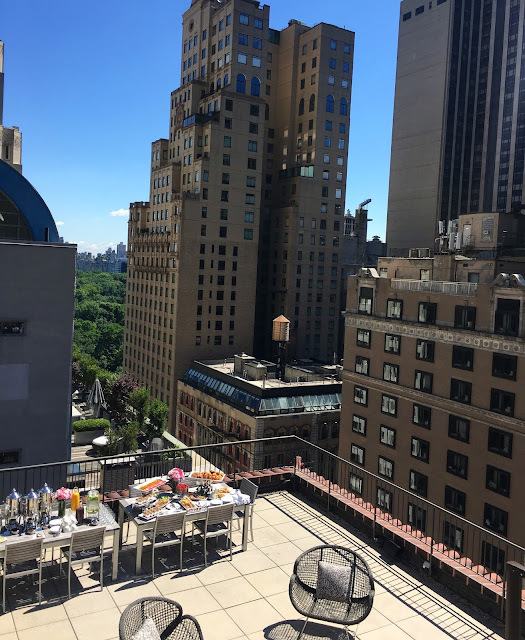 Our jam-packed day included a lavish brunch, a walking tour of the city, a cocktail-making class at a speakeasy, and a delicious dinner. The day began at the Quin hotel with a luscious breakfast spread worthy of Serena van der Woodsen. * We were very lucky to explore the opulent penthouse suite and enjoy breakfast atop the terrace overlooking Central Park! Talk about an absolute dream. 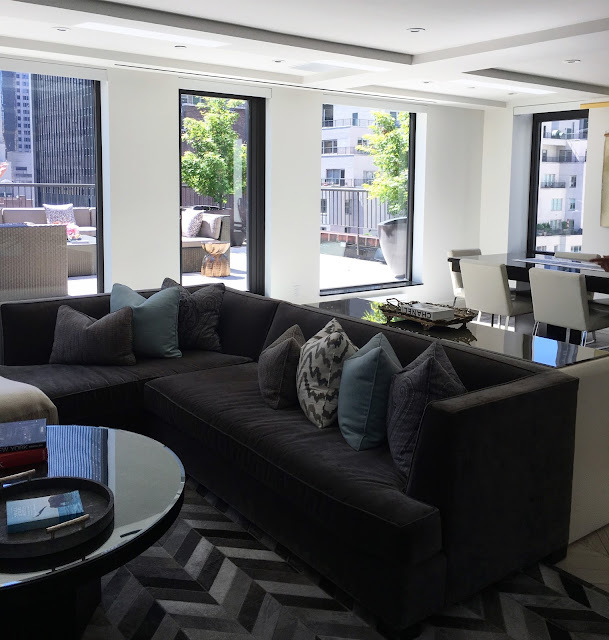 We got to explore the penthouse suite of the Quin, which left me breathless. I want to live there! 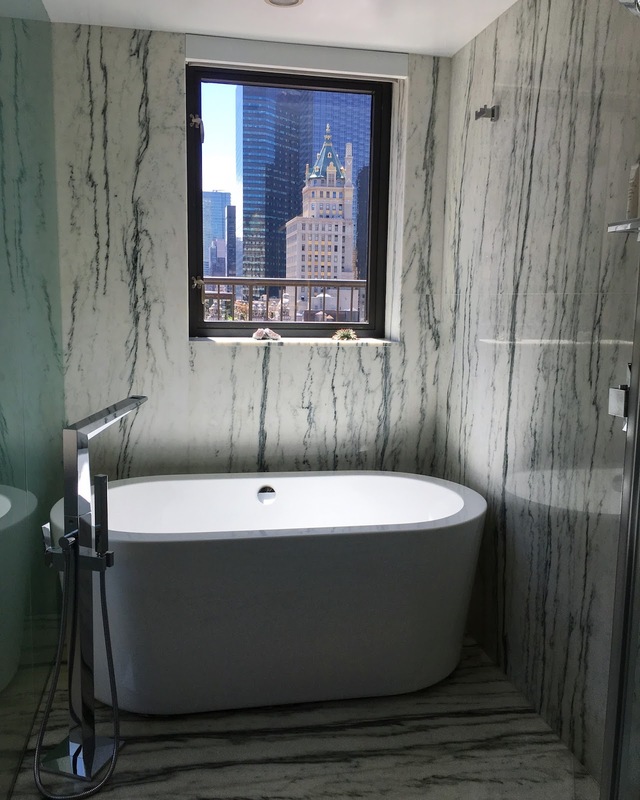 You can speed dial a Tiffany & Co or Bergdorf Goodman personal shopper, right from your room. 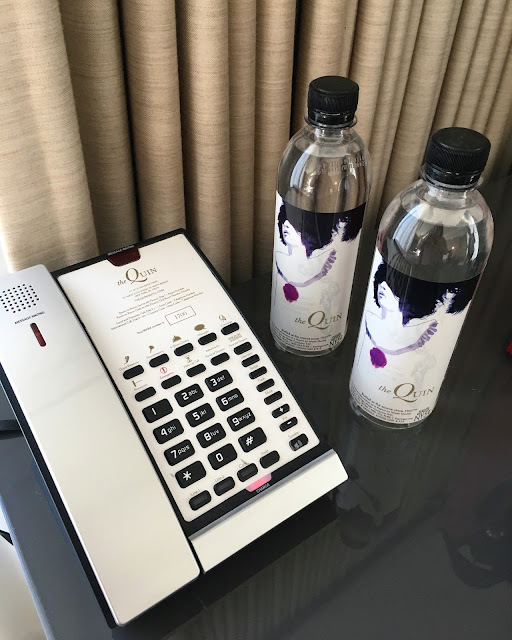 The definition of luxury, these special touches are the embodiment of the Quin. The Quin collaborates with various artists to create an intriguing atmosphere. 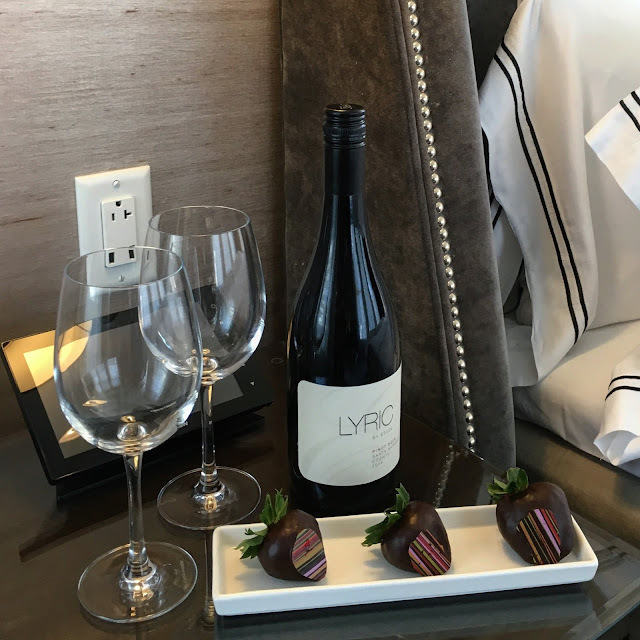 Rooms are equipped with all the luxurious necessities, with chocolate covered strawberries (and cookies!!) to boot! 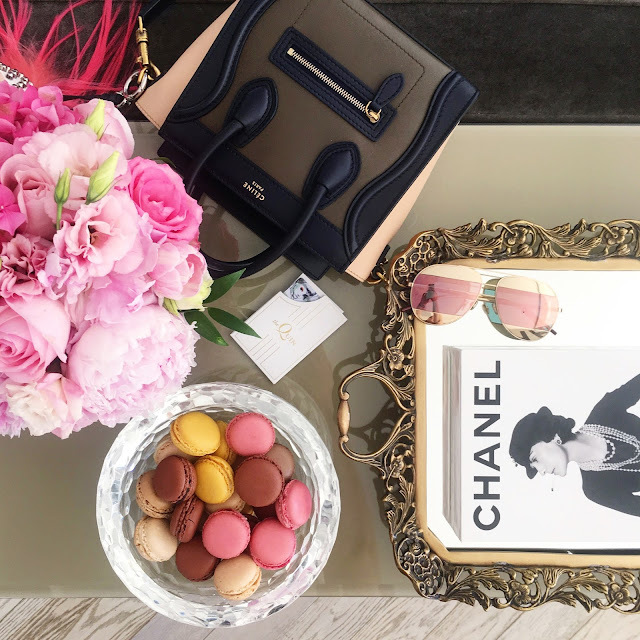 These adorable macarons were a fantastic eating (and flatlay) opportunity! Bathtub in the master suite. LOOK. AT. THAT. VIEW. Omg. Bathrooms come stocked with delicious smelling Fresh products, which I love! Central dining/living area was huge and yet somehow still cozy. 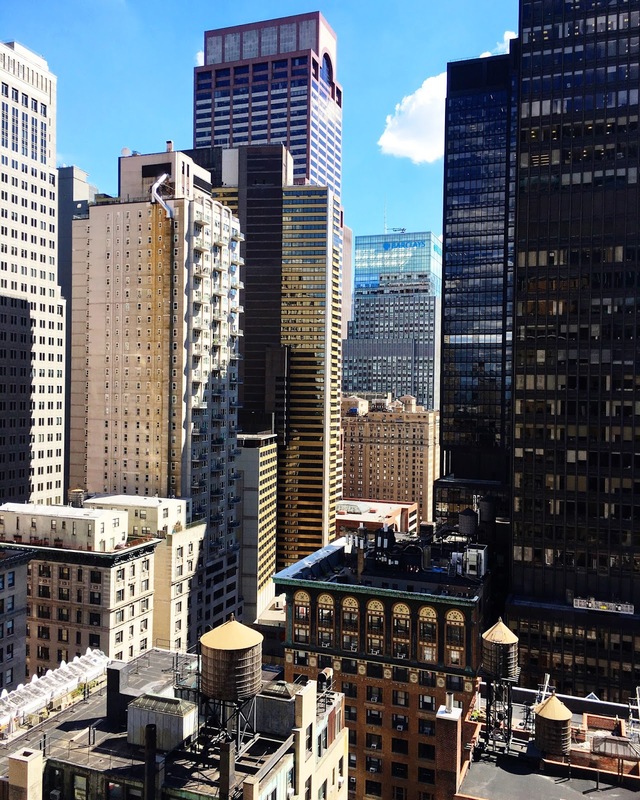 After our lavish breakfast, we were whisked away for a walking tour with Hotel Chandler. This was one of my favorite parts of the day, as there's nothing I love more than learning about the hidden history of New York. We also learned about the Evelyn hotel and its namesake Evelyn Nesbit. A popular American chorus girl and actress, she became involved in the midst of a national scandal when her husband, multi-millionaire Harry Kendall Thaw, shot and murdered Stanford White, who had sexually assaulted a 14-year-old Nesbit years earlier, on the rooftop theatre of Madison Square Garden on the evening of June 25, 1906. This led to what the press would call "The Trial of the Century." 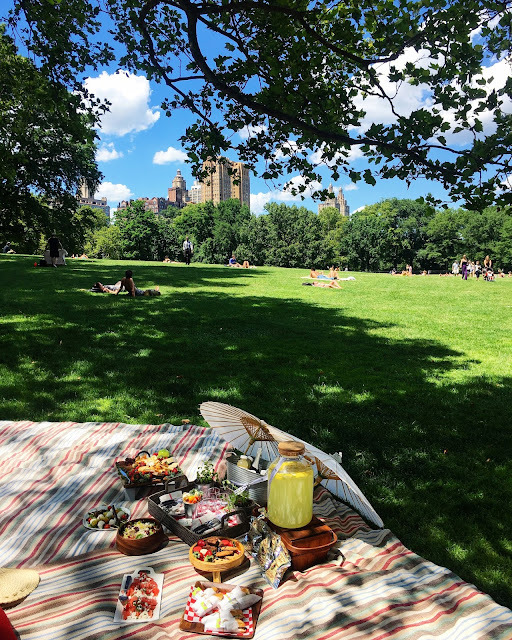 Next, we ventured to Central Park for a Perfect Picnic lunch hosted by WestHouse Hotel. This spread was equally delightful, and left me more than satiated. An absolutely picture-perfect moment! We also got to visit the hotel and check out the views from the rooftop! After our picnic lunch, we were whisked off to The Iroquois hotel for a cocktail-making class at Lantern's Keep, a speakeasy-style cocktail bar tucked away in the lobby of the hotel. 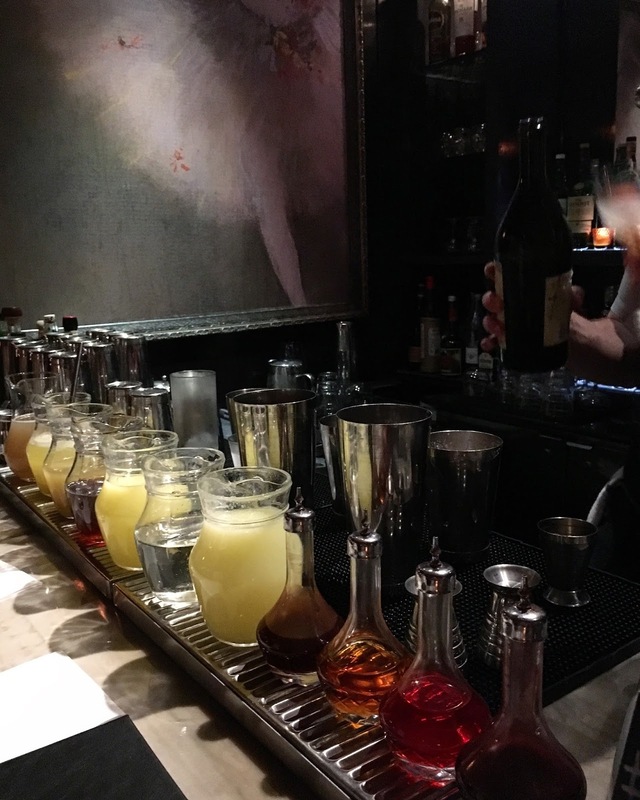 This hidden gem has a delicious drink selection that left us feeling happily tipsy, blissful and buzzing. 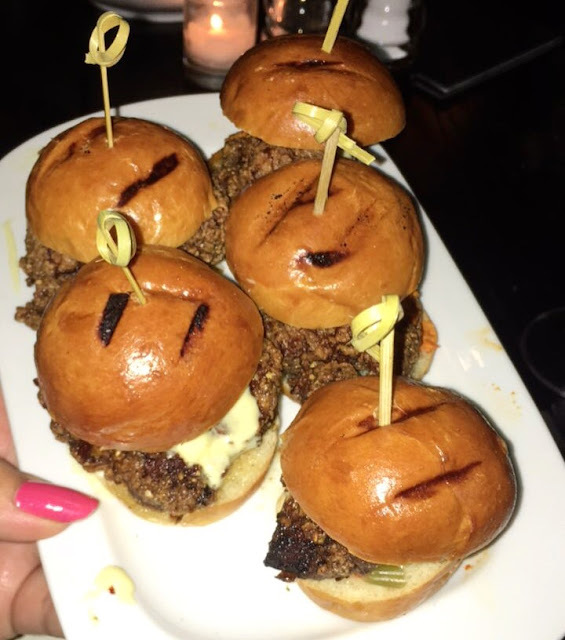 We topped off the day with a mouth-watering dinner at The Refinery, where I had a yummylicious burger and lots of tasty drinks! All of the stunning hotels we visited were under the umbrella of SLH (Small Luxury Hotels). I highly recommend browsing their list of hotels around the world when selecting where to stay. 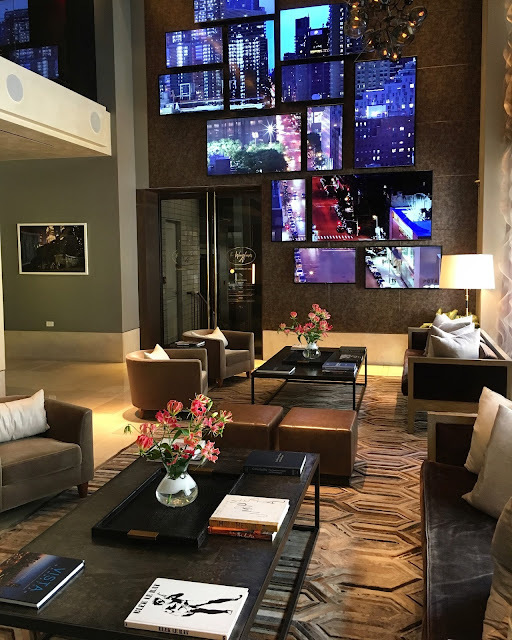 The hotels they work with leave a lasting impression with unique personal touches - and, with over 520 luxury hotels in more than 80 countries, you can bet you'll find the perfect one for you. This Memorial Day, I had the pleasure of visiting our country's capitol, Washington D.C. with my friend Sarah (@ShopWearRepeat). D.C. was incredible to explore, and I definitely want to go back soon! If you plan to visit Washington D.C. sometime soon, below are some things I would recommend. Georgetown is renowned for its cobblestone streets, grand estates, federalist architecture, and historic brick and frame row houses, dating back as early as the mid-1700s. 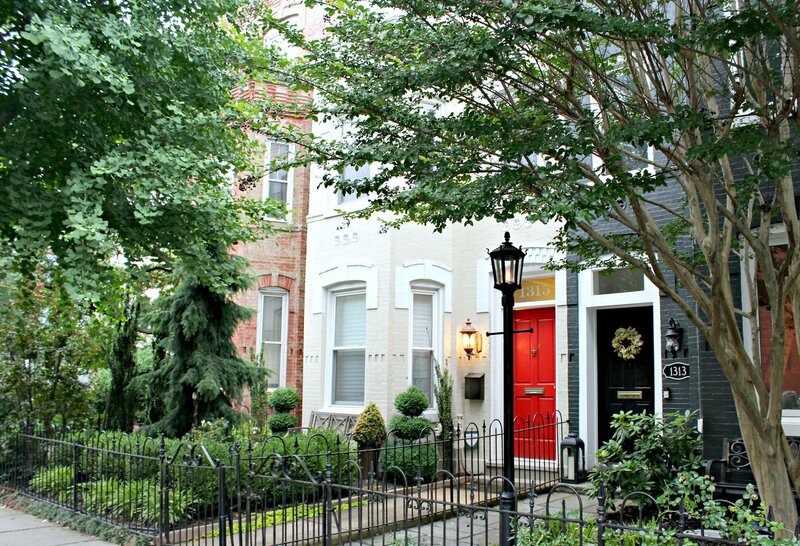 My favorite types of museums are preserved, historic homes, which Georgetown is teeming with. Within Georgetown, you can visit Dumbarton House, a Federal period house from the early years of the republic; Tudor Place, a National Historic Landmark estate since 1816 built by Martha Washington's granddaughter; the Dumbarton Oaks Research Library and Collection, a Federal-style house from 1801 that showcases the former owner's Byzantine and Pre-Columbian art collections, as well as Washington's famed cherry blossoms; or the Old Stone House, the oldest standing building in Washington, built in 1765. In 1967, Georgetown was designated a National Historic Landmark. 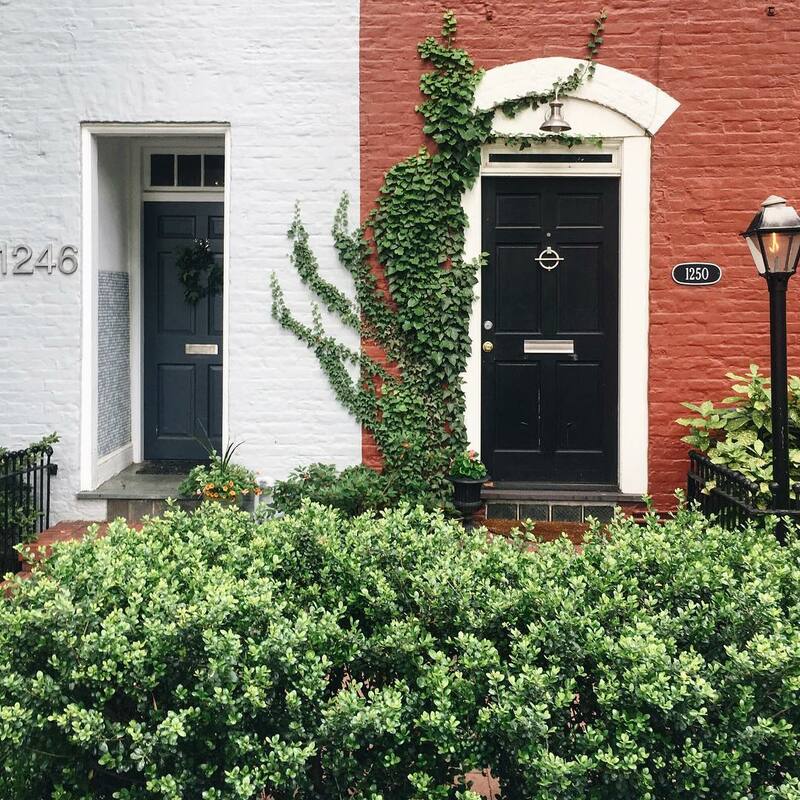 For all of its charm, Georgetown was also the setting for popular cult faves like The Exorcist. 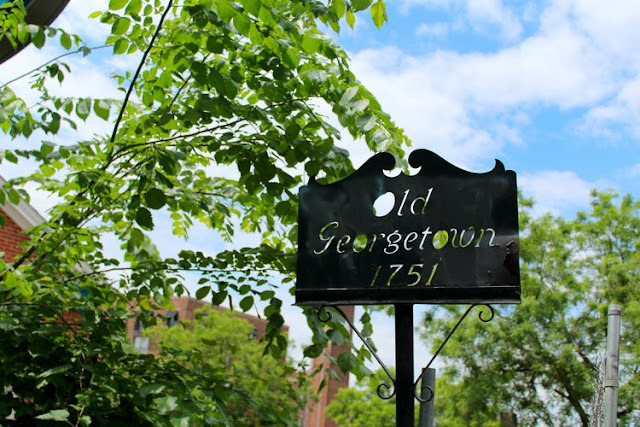 Georgetown is home to Georgetown University, the oldest Catholic and Jesuit university in the U.S. Georgetown is also within a 15-minute walk to The George Washington University. The Washington Marriott Georgetown is within walking distance of Foggy Bottom and Dupont Circle, which was handy, since most museums, shops, and galleries were a twenty minute walk or under. We did a lot of walking on this trip, and took the DC metro, too (luckily Frank Underwood wasn't roaming around). Built in 1981, the Washington Marriott is first Marriott hotel built in the nation's capital. 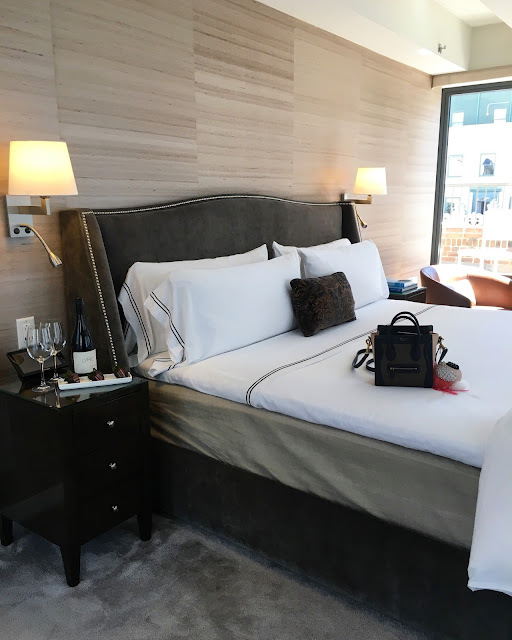 The hotel recently completed a $28 million renovation, which can truly be felt throughout the decor. 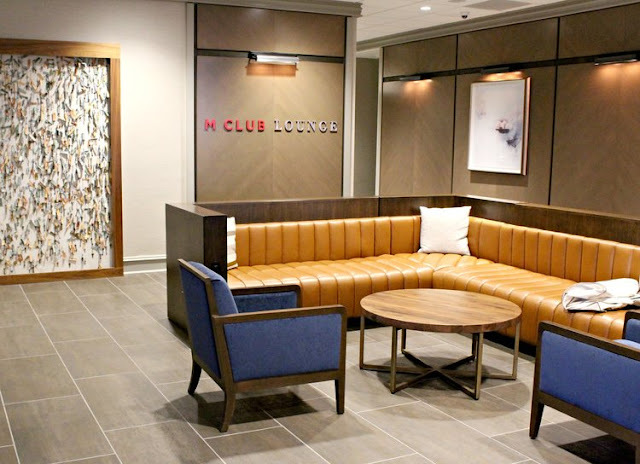 The hotel boasts a newly redone fitness center, 18 meeting rooms, a completely reimagined food and beverage program, and over 8,300 square feet of public space. 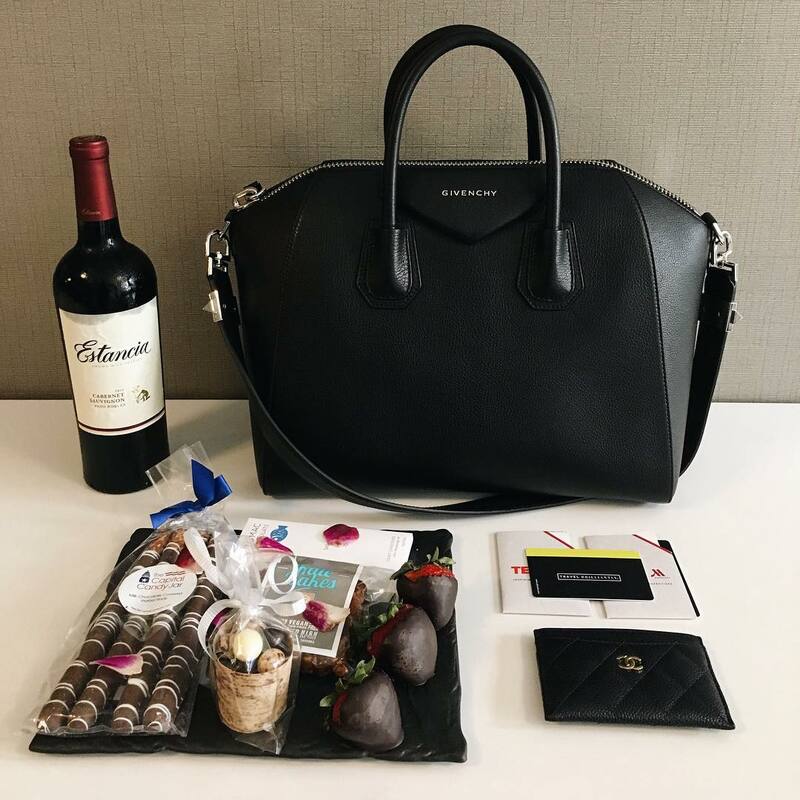 We received a very warm welcome from the incredibly accommodating staff, complete with chocolates, chocolate-covered strawberries, and wine (they know the way to a girl's heart). Our room had two queen size beds with a huge tv (a welcome reprieve after every long day of walking), as well as an entertainment area in an alcove towards the back, complete with seating and an additional television. My favorite part of hotel stays is inevitably the breakfast buffet. If you can't tell from my millions of brunch photos, breakfast/brunch are my favorite meal. Luckily, the Washington Marriott did not disappoint with breakfast options. 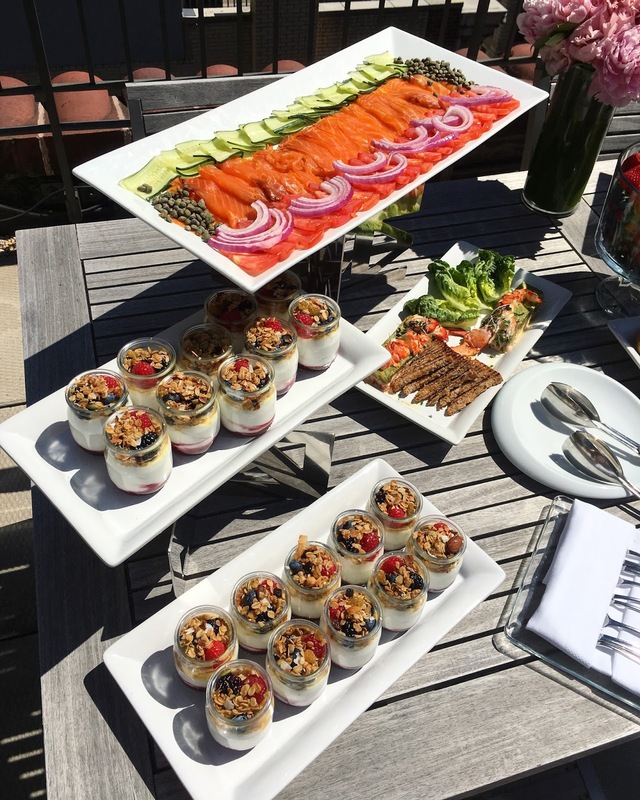 We had a luxurious and satisfying spread every morning of our stay, complete with fresh fruit, yummy pastries, yogurts, eggs, bacon, and sausages...I'm getting hungry again just writing about it. 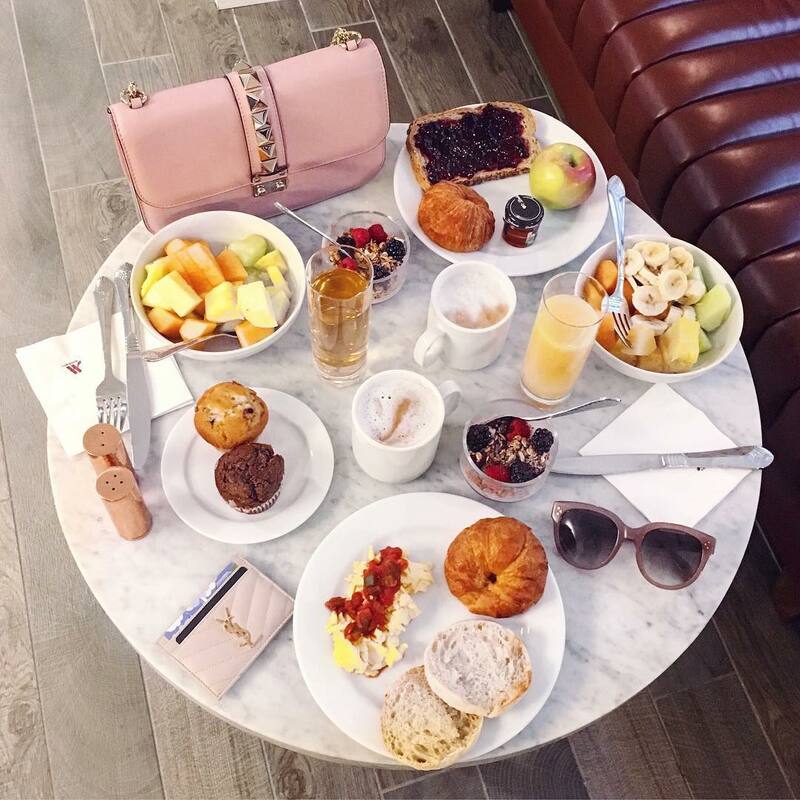 A big breakfast is essential to a day of traipsing around a big city, and we were left very full and satisfied! 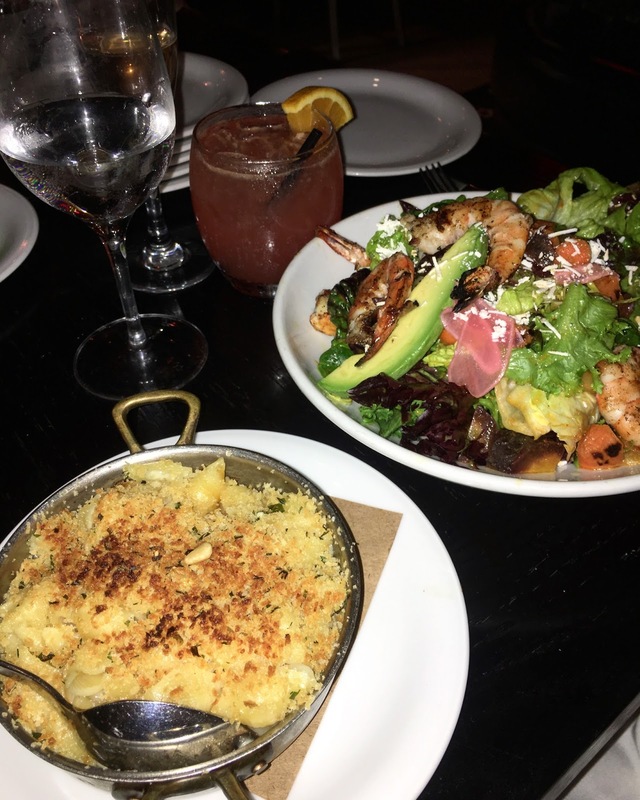 As everyone knows, vacations are really about stuffing your face with delicious food. We were only in DC for a couple of days, so the face-stuffing opportunities were frankly limited. But we never let that stop us. 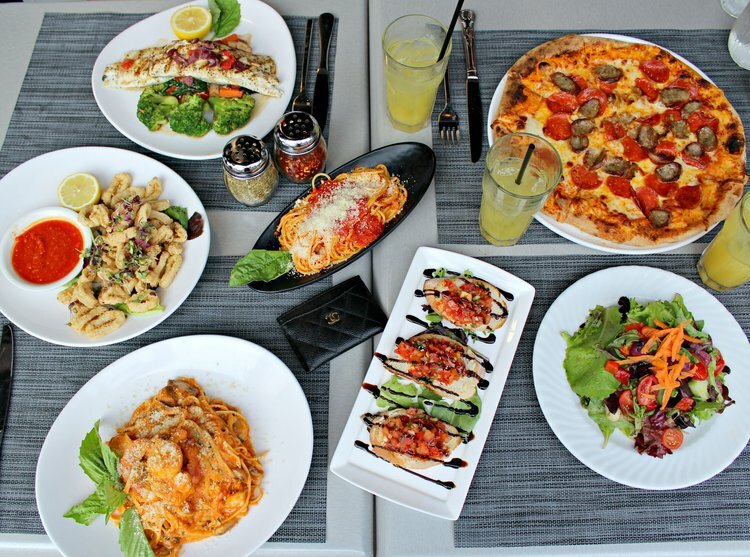 We indulged in a mouth-watering Italian dinner at Flavio Restaurant, feasting on pizza, pasta, fish, and salad. You simply must try the Lobster Diavolo pasta. It's a favorite of the locals, and I can totally see why. I also highly recommend the margherita pizza, which we got to sample before we dined. 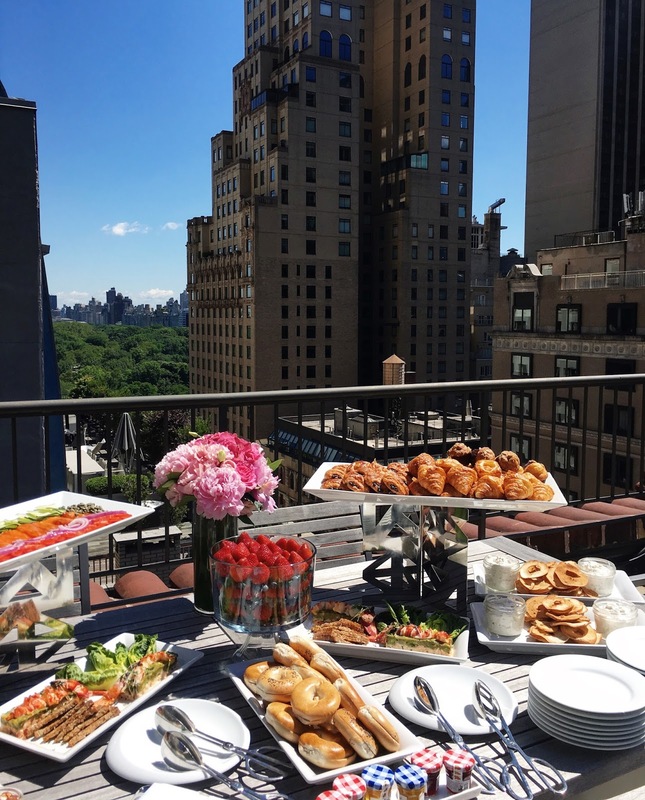 We sat al fresco and people-watched to our hearts' delight. If you're craving a sugar fix, located within walking distance are Laduree, Sprinkles, and, of course, the original Georgetown Cupcakes. 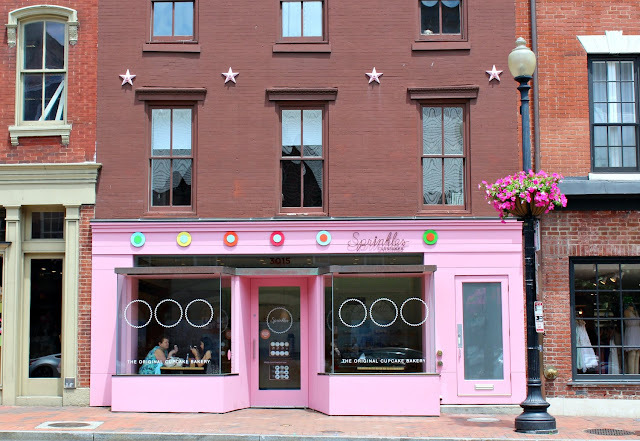 We also stopped by Obama and Biden's beloved ice cream shop, Thomas Sweet in Georgetown, for a sweet treat. On our way to some of the museums, we walked through the Smithsonian Gardens and marveled at the architecture of the castle. 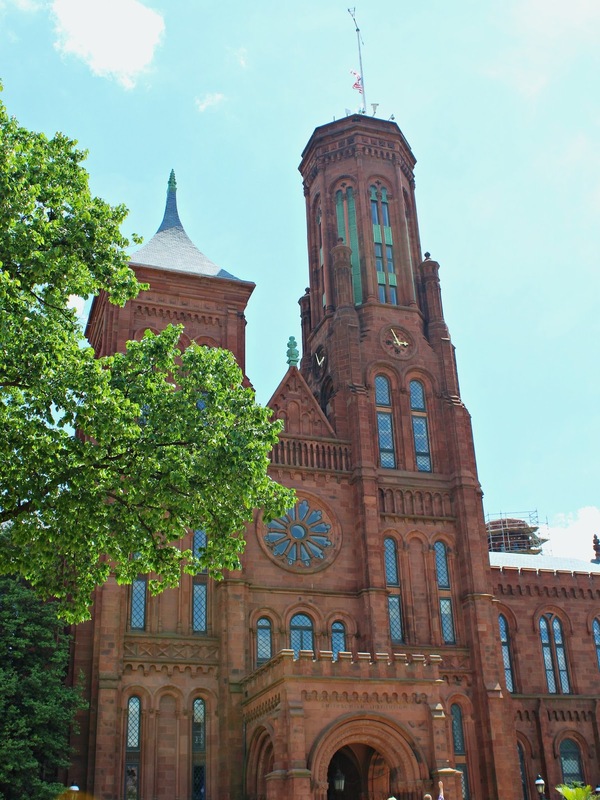 Completed in 1855, the Castle was the first Smithsonian building, designed by architect James Renwick, Jr.
One of the first museums we visited was the Hirshhorn Museum and Sculpture Garden. Unfortunately, they were between exhibitions when we visited, so we didn't get to see Yayoi Kusama's amazing exhibitions. We still saw some cool things, though! I'll confess, like most people without a formal art education, sometimes I struggle to make sense of modern art, but I almost always find it interesting and creative. We also visited the National Air and Space Museum, which was very crowded, but still manageable to get around. I was most fascinated by my realization that our first airplanes were essentially bikes with large wings. Learning about the tiny steps necessary for the establishment of modern flight, the trials and errors, and the many people working to accomplish one goal was inspirational. We visited the National Gallery of Art, as well, where I was charmed by opulent French portraits and painstakingly detailed still lifes. I was particularly intrigued by the works of female artists. In a time in which women artists were excluded from official exhibitions, denied patronage, and encouraged to work on small scale works in mediums such as pastels (rather than oils), artists like Adélaïde Labille-Guiard broke barriers. She set up her own studio with nine female students and became the official painter to the daughters of Louis XV. I am constantly fascinated by the stories of art - the artist's thoughts, intentions, and feelings; the history of owners and how pieces get passed from commissioners to museums; the cultural and historic context of works of art and their painters. I take my time walking through museums, reading every plaque and inspecting every piece that catches my interest, much to the chagrin of my companions. 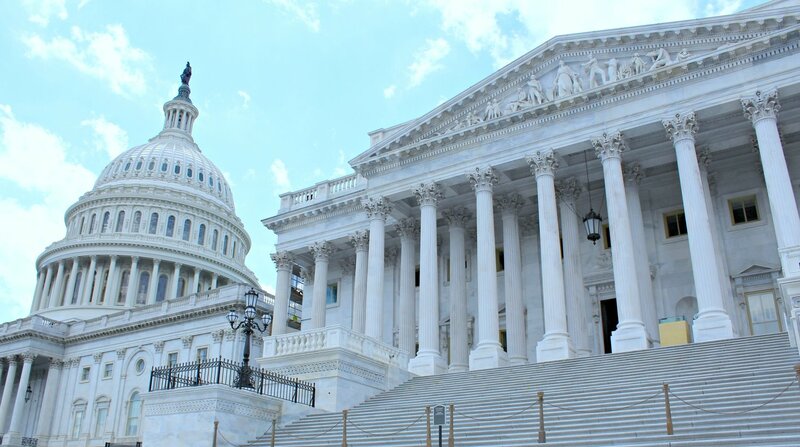 D.C. is a cultural and historic mecca, with large, imposing government buildings on every corner. 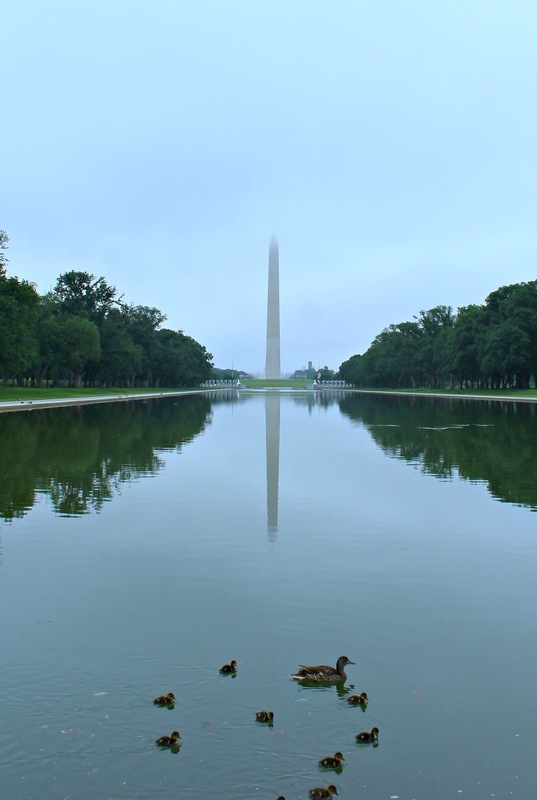 The National Mall, a large, open park in downtown D.C., is flanked by the Lincoln Memorial and the United States Capitol. Within the mall are the Washington Monument, Jefferson Pier, National World War II Memorial, Korean War Veterans Memorial, Franklin Delano Roosevelt Memorial, George Mason Memorial, Jefferson Memorial, Martin Luther King Jr. Memorial, and the District of Columbia War Memorial. 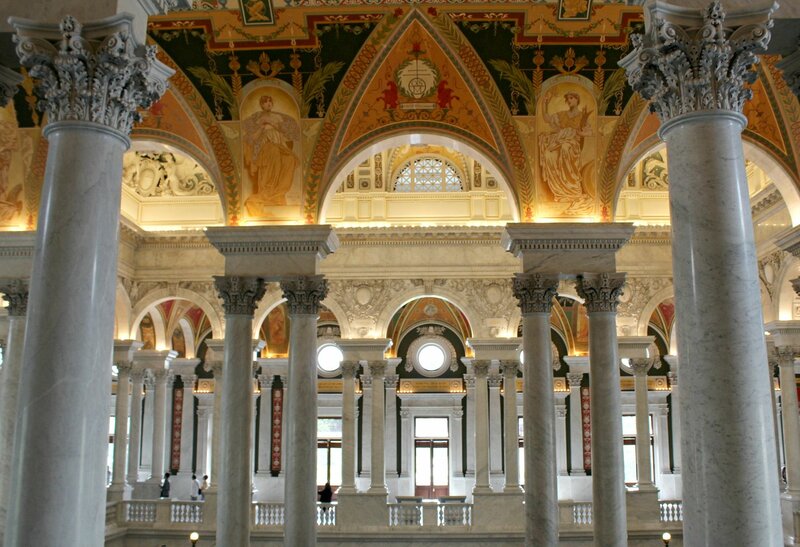 Located nearby is the Library of Congress, which is a vision in and of itself, given its spectacular construction. 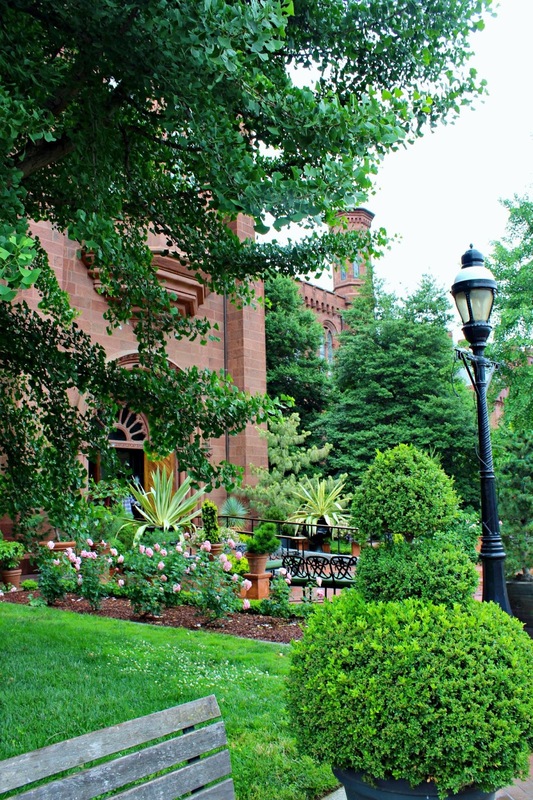 It features several curated historic exhibitions. I greatly enjoyed learning more about the world wars - inspecting letters, posters, and pamphlets for the war. One interesting thing I learned there was that daylight savings time was created in an effort to conserve electricity during wartime. The Library of Congress also had an exhibit dedicated to courtroom drawings, which I could hardly pull myself away from. Did you know that the Library of Congress is the largest library complex in the world? It boasts a collection of over 147 million books, manuscripts, and other materials. Also located within the Library of Congress is a section dedicated to Jefferson's Library. In 1814, the British army burned our nation's Capitol and the Library of Congress. At this point in time, Thomas Jefferson had the largest personal collection of books in the United States. He offered to sell his library to Congress to replace the destroyed collection, and in 1815, Congress purchased 6,487 volumes from Jefferson for $23,950. Unfortunately, a second fire on Christmas Eve of 1851 destroyed over two thirds of the collection. Congress is working on restoring the library, and you can see which books date back to Jefferson's original library. Georgetown had a nice selection of stores, though mostly high-end. 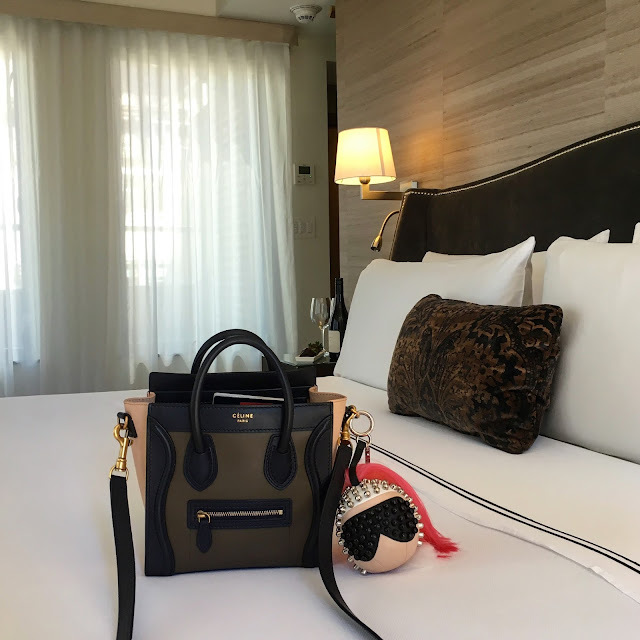 Within walking distance from the Marriott were several stores - Intermix, Tory Burch, Kiehls, Abercrombie & Fitch, AllSaints, Anthropologie, Brooks Brothers, Ralph Lauren, CUSP by Neiman Marcus, Dr. Martens, Free People, J. Crew, Karen Millen, Kate Spade, Lilly Pulitzer, Lululemon, Rag & Bone, and Alice + Olivia. I was excited to find TJ Maxx, Saks Off Fifth, and Nordstrom Rack in Washington D.C.! The high end makeup selection was much more expansive than in Manhattan. I got couple of Burberry nail polishes and a Too Faced Melted liquid lipstick. 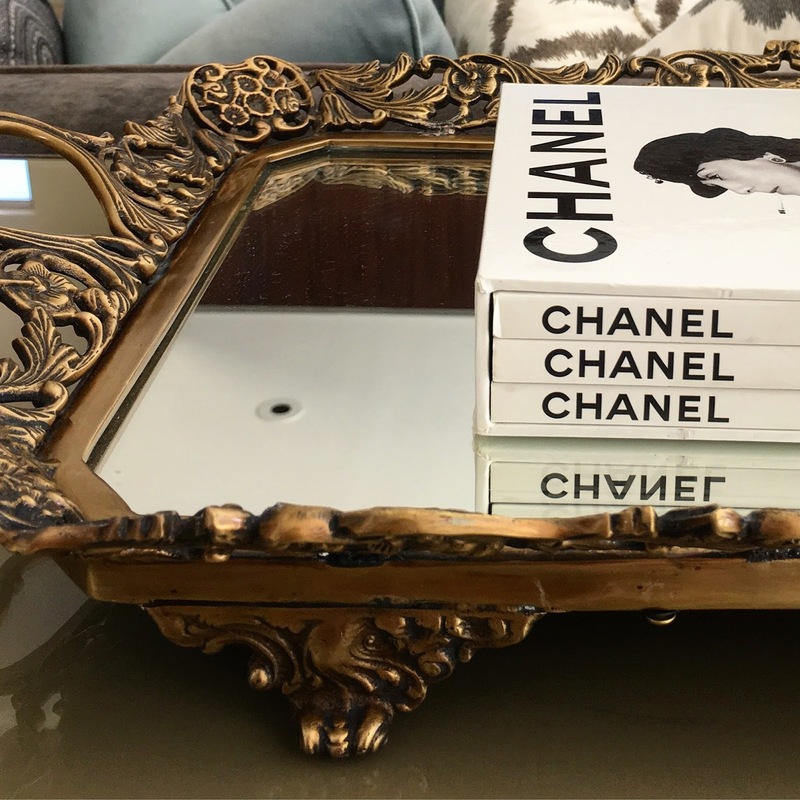 My heart was sad when two of my favorite consignment/thrift stores (Second Time Around & Buffalo Exchange) had just recently closed their doors in Georgetown, since I love traveling and combing through new thrift and consignment stores. 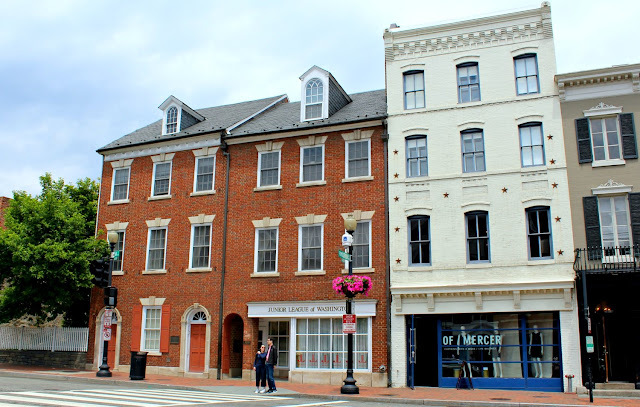 Overall, we had a beautiful stay at the Washington Marriott Georgetown, enjoyed some delicious food, saw some historic sights and beautiful works of art, and learned about the history of the United States. Memorial Day is a great day to visit, since there are parades and special events. I would really like to go back to visit Washington D.C. again - there's so much to do, so much to see, and so much to learn! Do you have any must have recommendations for my next trip to D.C.? I'd love to hear them! Thank you for reading!